Makrolon® SL Sign Grade polycarbonate sheet, available in sheet and reel, is an enhanced UV resistant product with exceptional weatherability and high impact strength. Available in clear and nine industry standard colors, and SL Matte. 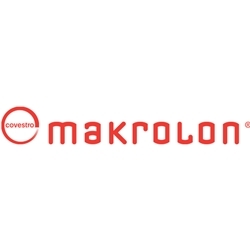 Makrolon® SL polycarbonate meets UL 879 for electrical signage. It can be easily fabricated, thermoformed, and decorated, and has a proven track record of outstanding performance in any environment. With Makrolon® SL and Makrolon SL Matte polycarbonate sign grade products, you can be confident your company image is secure.